HudBay Minerals Inc. (TSX, NYSE: HBM) is a Canadian integrated mining company with assets in North and South America principally focused on the discovery, production and marketing of base and precious metals. The company's objective is to maximize shareholder value through efficient operations, organic growth and accretive acquisitions, while maintaining its financial strength. A member of the S&P/TSX Composite Index and the S&P/TSX Global Mining Index, HudBay is committed to high standards of corporate governance and sustainability. 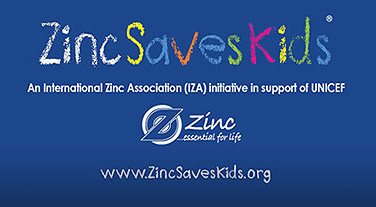 Zinc Saves Kids is an initiative to improve the survival, growth and development of undernourished children by funding UNICEF's zinc supplementation program. Cost and Fixed Asset Superintendent, Lima, Peru Hot! Mine Surveyor - Lalor Mine, Snow Lake, MB, Canada Hot! Mill Supervisor, Snow Lake, MB, Canada Hot! Mobile Maintenance (Heavy Duty Mechanic) Supervisor, Snow Lake, MB, Canada Hot! Heavy Duty Mechanic (Red Seal), Snow Lake, MB, Canada Hot! Mine Ventilation Technologist, Snow Lake, MB, Canada Hot! Senior Financial Specialist – Manitoba Business Unit, Flin Flon, MB, Canada Hot! Heavy Duty Mobile Maintenance Supervisor, Flin Flon, MB, Canada Hot! Industrial Electrician, Snow Lake, MB, Canada Hot! Maintenance Planner (Electrical), Snow Lake, MB, Canada Hot!